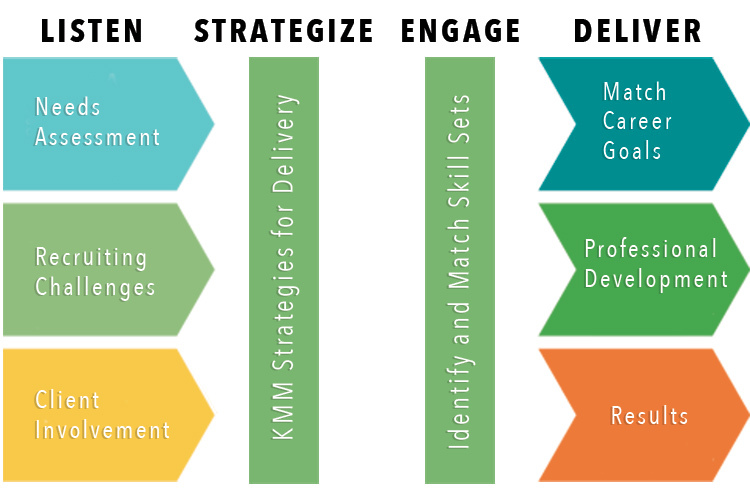 KMM Technologies Inc. IT Workforce Management - KMM Technologies Inc.
KMM offers IT recruiting services nationally. We recognize the importance of hiring and retaining the right people, and in today’s competitive labor market, our niche IT-focus affords us the ability to deliver quality candidates in a timely manner. From Applications Developers/Systems Engineers to Project Managers to Financial Analysts and IT Auditors, we are positioned to proactively assist you in finding the best candidates for your employment requirements. Our full-service, IT recruiting solutions are the right choice for meeting your employment challenges. We provide customized recruiting services based upon your specific job fulfillment needs, and our team of seasoned IT recruiting professionals are able to effectively assist you with your search. Our tenured relationships in the Financial Services, Healthcare, Oil Services, Technology, and Communications sectors enables us to better address a client company’s recruitment objectives.